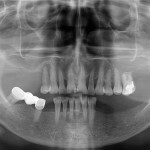 Home » Posts » Dentistry » oral and maxillofacial surgery » Maxillary sinus lift surgery: does grafting improve outcomes? Maxillary sinus lift surgery: does grafting improve outcomes? Following the loss of upper posterior teeth pneumatisation of the maxillary sinus affects rehabilitation using dental implants. Maxillary sinus floor augmentation or maxillary sinus lift surgery has been used to increase the amount of available bone in order to place implants. Two commonly used approaches are lateral window technique and the osteotome intrusion technique. The aim of this review was to compare the use or not of graft material in maxillary sinus lift surgery using the lateral window technique. Searches were conducted in the Medline, Science Direct, and Cochrane library databases. Prospective and retrospective studies of maxillary sinus lift surgery by lateral window technique associated with the installation of implants, and a minimum follow- up period of 6 months were considered. Only English language publications were included. The main outcomes were the rate of new bone formation in the maxillary sinus and the survival rate of the implants installed in the region. Level of evidence of the included papers were classified following the hierarchy of evidence provided by the National Health and Medical Research Council (NHMRC, Australia). Analysis of the survival rate of implants between groups (with graft material vs. without graft material) per the follow-up period (0–6 months, 6–12 months, 12–24 months, and 24–36 months) was undertaken. 16 studies (10 prospective, 6 retrospective) were included. Follow up periods ranged from 6 months – 11 years. 302 sinus lifts were performed using grafts, 95 without. This review shows that maxillary sinus lift surgery is a safe procedure with a low complication rate and with predictable results. Although the successful use of graft materials is reported in the literature, this procedure is feasible without graft material and very similar results can be seen with and without the use of graft material. Furthermore, maxillary sinus lift surgery without the use of graft material results in a reduced surgical time and lower total costs compared to surgery with the use of grafts. 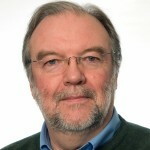 The reviewers have undertaken a broader search for relevant papers although restriction those included to those published in English mean that some studies have been excluded. Some methodological details are missing eg. whether study selection and data abstraction was carried out independently by two or more reviewers. The reviewers have chosen to include both prop and retrospective studies and while the level of evidence has been applied each included study no formal assessment of risk of bias has been presented. This is important because of the inclusion of both pro- and retrospective studies and retrospective studies are more prone to bias. Ideally randomised controlled trials (RCTs) would be available for a review comparing two treatment approaches and again it is not clear as to whether any of the studies included in this review are randomised as the level II studies in the NHMRC includes both RCTs and prospective cohort studies, and there are 4 of these in this review. The studies included in the review are relatively small including between 7-70 patients, with only 4 including 40 or more patients. Because of concerns regarding the quality of the available evidence these findings should be viewed cautiously as results from further high quality studies could change the findings. Silva LD, de Lima VN, Faverani LP, de Mendonça MR, Okamoto R, Pellizzer EP. Maxillary sinus lift surgery-with or without graft material? A systematic review. Int J Oral Maxillofac Surg. 2016 Dec;45(12):1570-1576. doi: 10.1016/j.ijom.2016.09.023. Review. PubMed PMID: 27765427.